Daichi yawned, covering his mouth with his left hand before rubbing his fingers through his dark hair. 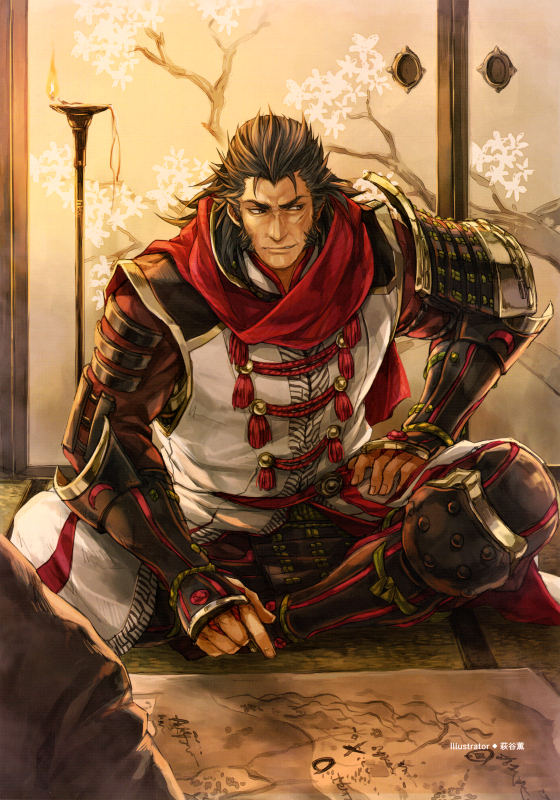 Watery eyes beaded the corners of his vision as he looked over the map, observing the detail of the Emperor's planned route through the Yamazaki Pathway to Scardia. "Ugh... it still be wiser to go by boat than over that decrepit den of vipers. Gonna need to prepare a decent entourage for them if they really plan to use that condemned road." he yawned. Still, Hanzo and Hiyori would be at the Emperor's side, so there shouldn't be too much to worry about; that is if Hiyori was fit for combat. There had been rumors, but Lord Beijiosaki believed the young Lady of the Busujima Clan was observing an illness and had quarantined herself. But, again, rumors of her being pregnant were rife within the Empire's muckraking members. And that Prince can be so oblivious at times to this it makes me sick, being a fan of the romancing courtly wooing between a man and woman; he has eyes yet he can't see what is clearly in front of him! His heated thoughts made him snap the charcoal pencil in his right hand, which he had been using to tracing the Emperor's path on the aforementioned map of the Scardian Ocean. "Oop..." he grunted, before frowning, grumbling as he tossed the shattered item aside, his fingers covered with thick black dust; keeping in mind not to touch his face with his right hand now. "Hrmm..." he continued to grumble, before sighing heavily. "That Prince is a handful all right. But... given time, he'll grow into a fine Emperor I reckon." he says out loud, rubbing his chin with his right hand absentmindedly, giving himself a goatee and stash made of charcoal dust. He smiled, and would gladly serve under the Prince's reign of the Empire should that time arise within Daichi's lifetime. He was 37, married to a wonderful wife with five kids. He saw a long life ahead of him, but... as a warrior you never knew what day could be your last. He stood up, clapping his hands upon his knees before towering his 6'3 form over the map. "Beh, I'll work on that later. I'll work on my katas for now." he says, closing his eyes as he rolled his right shoulder in a stretching wind-up motion, while creaking his neck towards the left. He then cracked his knuckles, and exited the office into the second floor wing of the Imperial Palace.